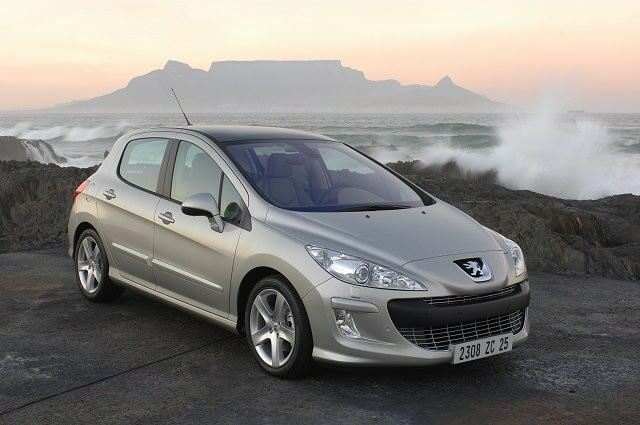 Peugeot's replacement for the 307 arrived in 2008, the French hatchback majoring in bold, and somewhat Marmite, styling. Peugeot's replacement for the 307 arrived in 2008, the French hatchback majoring in bold, and somewhat Marmite, styling, bringing a huge lower front grille and pointed bonnet to the family hatchback marketplace. There it competes with the likes of Toyota's Auris, the Ford Focus, Opel Astra and Volkswagen's Golf - as well as a host of other European, Japanese and - more recently - Korean rivals. Peugeot aimed the 308 at the upper end of this vast marketplace and the interior reflects that, with some nice finishes and ample passenger space. Available worldwide in everything from the vast SW estate, a saloon, three- and five-door hatchbacks and CC folding hardtop convertible the 308 range is extensive. You'll struggle to find anything other than the five-door hatchback on these shores, though the occasional SW and CC might have been sold in its near seven-year production run. The engine line-up consists of three petrol units of 1.4- and 1.6-litre capacities, while the turbodiesel range is offered in 1.6- and 2.0-litre HDi units. The latter are by far the most popular and rounded of the engine choices, the 1.6 HDi arguably best mixing economy and performance with either of its 90- or 110hp outputs. Despite Peugeot's history of fast hatchbacks there's never been a GTi version of this car. All drive decently enough, though -refinement aside - are fairly unremarkable, even if the suspension does a good job of smothering bumps and lumps. The driving position might not suit all, while visibility isn't great out the back. The manual gearbox doesn't offer the slickest shift either, though economy is good across the line-up - particularly from those diesels. Equipment is respectable across the range, the 308 having the trim lines S, SX, SE and Sport in its early guises, Peugeot adopting a new trim strategy with the 308's facelift in 2011 - trim levels now including Access, Active and Urban among others. The 308's styling was revised too, the nose becoming a touch less prominent, smarter lights front and rear and a re-profiled grille also featuring. A 1.6 HDi in the best trim you can afford at your price level is where you should put your money. Either the 90- or 110hp version will suit; though the 110hp's additional power is welcome if you're likely to be doing longer journeys in it. The 308 is difficult to get excited about, but then it's a family hatchback and it does everything you could reasonably ask of it. Refinement and economy are good, as is comfort, though the looks really are in the love them or hate them camp and to drive it's bettered my most of its competition. Decent used choice and relatively affordable used prices may usurp that though if you're after useful, daily transport.